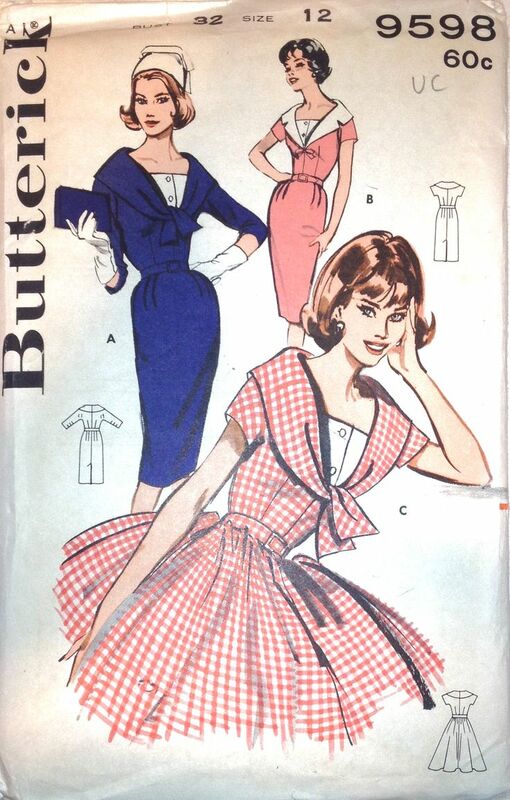 Chancing upon the Butterick pattern, I immediately fell in love with its bold collar, cute contrast dickey, and generally elegant late 50s/early 60s design. 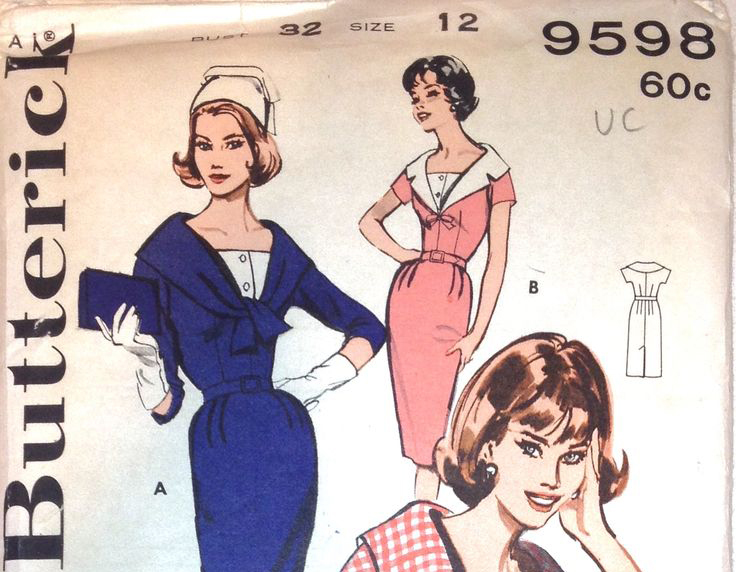 The simple, form-fitting lines captured in views A and B remind me of the sophisticated* 1950s fashions captured by photographer John French, fashions donned by Dovima, Ann Gunning and Fiona Campbell-Walter. *Gloves required, of course. The only thing that really tested my patience was the darn zipper. It still doesn’t work properly sometimes, and I haven’t a clue why. 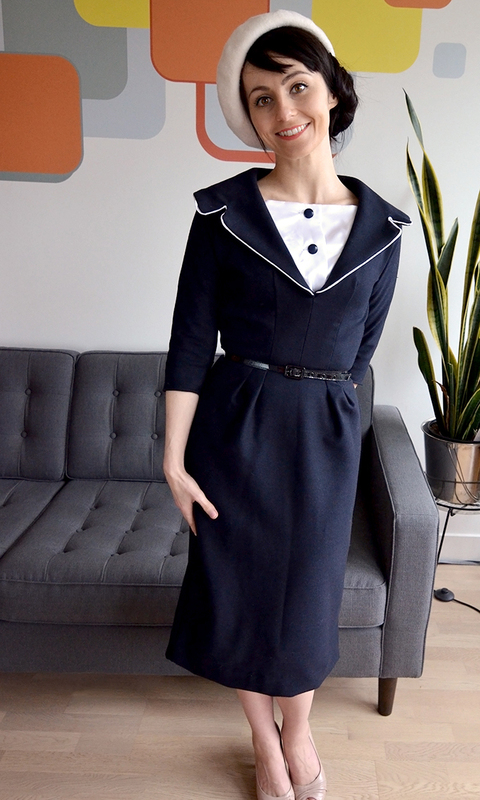 As for the sewing itself, I decided to remove a couple inches from the length and sides of the bodice, but now I think I may have gone too far in timing down the sides… Breathing has become rather laborious! Oh well, next time I’ll know not to get too crazy with such things (so long as I don’t suffocate before then!). I had to move the darts a bit and shorten the length of the skirt. This dress also saw my first attempt at piping. 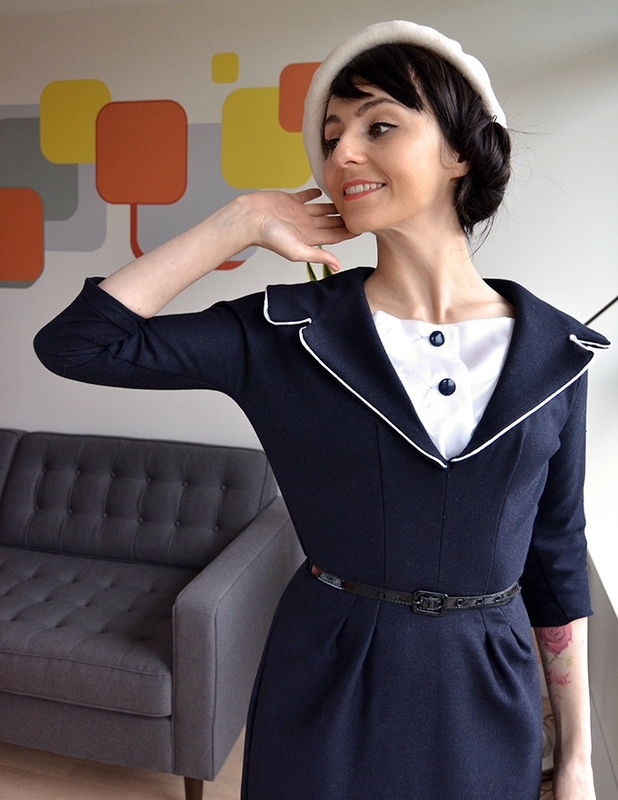 It turned out pretty well for my first time, and I think it nicely accentuates the nautical feel of the dress. So there you have it! Thanks for reading and hip-hip-hooray to the first of many Zoubi Zoubisou posts! Hello! Your dress turned out so lovely (: You inspired me to find and purchase the same pattern to try for myself. However, mine is missing the instructions! Do you think it will be difficult/impossible to make without them? Is there any way that you can help? Thank you for sharing your post, and I appreciate any insight that you can provide. I’m also enjoying reading through the rest of your sewing adventures!